[Free Pattern] This Brilliant Pattern May Be Your New Favourite! [Free Pattern] Men, Women, Boys & Girls Alike Can Rock These Mitts! This adorable garland is the perfect addition to any home! With Christmas just around the corner, it seems almost natural that this garland is great for Christmas. It’s name is Berries & Blooms Christmas Garland designed by the talented Susan Carlson. In fact this wonderful garland with cute bright flowers is perfect for any time, any day, any season. 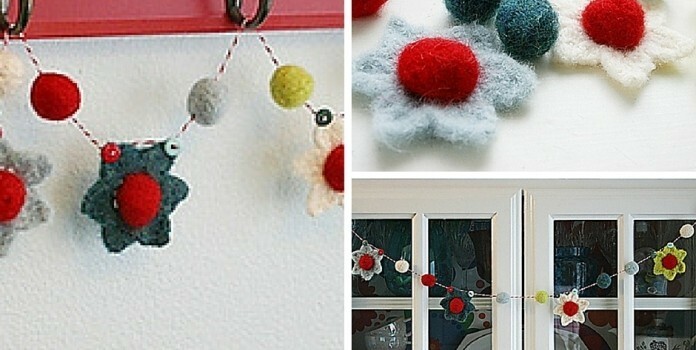 This simple felted garland with a mix of “berries” and “blooms” is a fun project for any time of year. I worked it in five Christmasy colors of wool so I could felt it, but it would look equally adorable in a non-feltable yarn and any color scheme to match your mood or the season. Give as a gift or make one for yourself. The pattern includes a 3 page printable written section and an additional 9 pages of photos to help you through any tricky spots. 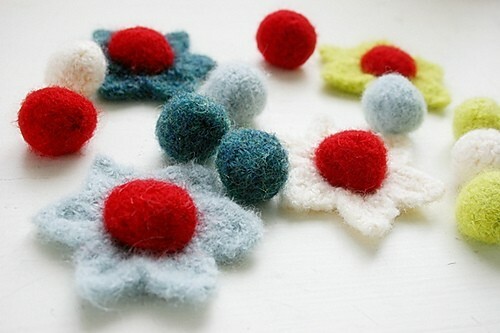 It also includes detailed instructions for felting your berries and blooms garland pieces. Thanks to Susan Carlson for this article inspiration and featured image.